Following the online launch of new iPads yesterday, Apple just upgraded its iMac lineup as well. The Cupertino tech giant followed what was predicted by the rumor mill, with the only two surprises being the new iPad Air and the choice of the A12 as the processor for both of its latest tablets. On the sidelines of its gadget updates, Apple also has a nice surprise for iMac Pro lovers. Take a look below for more details. As Apple upgraded the iMac lineup to keep in tune with Intel’s latest Coffee Lake processors, it also chose to provide the iMac Pro with a new upgrade. 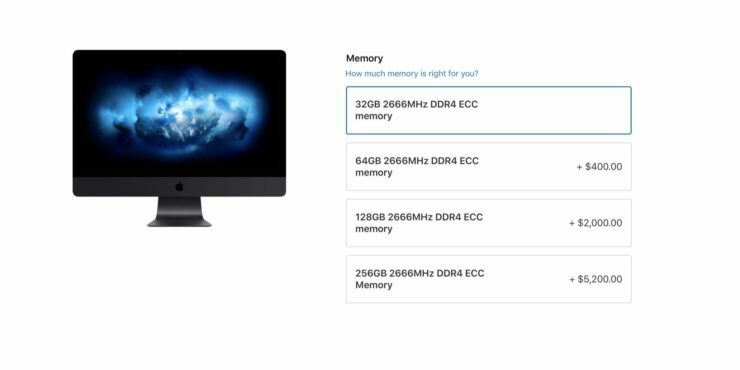 Prior to today’s iMac launch, users had the option to purchase an iMac Pro from Apple with a maximum of 128GB DDR4 ECC RAM at an additional cost of $2000. 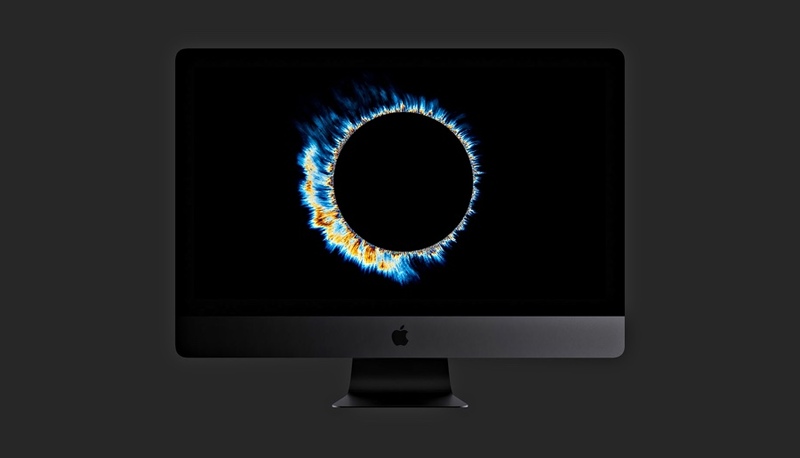 Apple’s iMac Pro was launched in 2017 and it features a 5K display alongside Intel’s Xeon-W processor with 19MB cache and 4.2GHz Turbo Boost frequency. The Xeon-W processors that Apple uses in the iMac lineup are old; they were launched by Intel in 2017. Given Apple’s recent love of Coffee Lake processors, it’s also possible that the company might upgrade the iMac Pro with the generation in the future. In the meantime, to keep users happy, Apple has now included a 256GB RAM option for the iMac Pro on its online store. This will set you back with a neat $5200, which we’d like to add is more than double the cost of a 128GB upgrade. For those of you who are wondering, no, DDR4 ECC RAM is not the same as standard DDR4. ECC stands for Error Correcting Code and is a parity memory, which means that it has an odd number of chips. The extra chip is to correct for data corruption errors in workloads that cannot afford them. While allowing users to upgrade their rigs with 256GB RAM is well and good, Apple’s entire iMac lineup is begging for a design overhaul. In our view, the company has taken the easy way out here, since it has no direct competitors for this particular niche. However, given Tim Cook’s recent approach of targetting all of Apple’s products for upgrades, maybe we’ll get lucky next year.